These are reviews listed online throughout my career. Thank you so much for a pleasant experience! Leslie really took the time to listen to my concerns. I didn’t feel rushed. I went in to see Leslie because I was 4 days past my due date and dealing with a lot of contractions and swelling but no baby. Hours after my acupuncture session, I went into labor! Julie Jenkins 10/01/2017 Leslie Gray has a varied background of medical education and personal experiences to build on her foundation of how to best assess what acupuncture a client needs. She listens to you and has great compassion for her clients but also explains to them in terms that they can understand how best to treat. Her rates are more than reasonable and she is open later hours than most places and open some on Saturday as well. I HIGHLY recommend Leslie Gray Acupuncture Healing!! Brian Kunowski 09/30/2017 Leslie is awesome! Very caring about your health. You can tell she truly loves what she does and goes out of the way to make you comfortable and relaxed while there. I already brought my girlfriend in and we will be back again. Charles Hodges 09/28/2017 Delt with a chronic problem for many years, then met Leslie. Much to my surprise we’re making headway with her treatments. Noel Kasper 9/28/2017 Leslie greeted me and had me fill out an app. She then discussed the health problems that I had listed and gave me a bundle of info on ways to deal with them. She then ushered me to one of the recliners in the back room. I took off my socks and shoes and began with the needles. I barely felt them. I laid there for awhile before she removed the needles and then stayed there until I felt ready to go. I was SHOCKED to feel the pain in my leg was gone. It was gone the next day and now one day later it is still gone. I had always been skeptical about acupuncture………..No more skepticism. My leg feels better than it had in years. I am now sold on Leslie’s acupuncture! YEA!!!! Snappy Gamer515 09/28/2017 It really made a difference in my body! 5/14/2017 I have been to other acupuncturists, but have never had such immediate relief and actual healing from anywhere else. Leslie, is so knowledgeable and gets to the root of your issue. She has such compassion. Leslie is amazing! She is very knowledgeable on what she does here. I had cupping and acupuncture done and I feel absolutely great! I would highly recommend her as she has many many years of experience and is very passionate about helping people feel better. 3/25/2017 Customer Service, Environment, Quality, Wait Time Leslie was great and wealth of knowledge. Took great care of us. Cheryl B. 4/2017 I was very excited to hear there was community acupuncture opening in the West Valley. I met Leslie and immediately knew I was in good hands. She’s very passionate about what she does. I have so many issues and she knows exactly what to do. She even did cupping on my back and it was exactly what I needed. I can’t imagine going anywhere else. Mary D. 5/2017 AMAZING! Leslie stopped my migraine in its tracks. She also got rid of my shoulder pain, which had been constant for months. When my pain comes back it is greatly reduced. I HIGHLY coming here. Leslie is knowledgeable, compassionate and knows her stuff! Paul Z. Yelp Leslie Kim Gray is THE best acupuncturist; EVER! I’ve been to quite a few acupuncturists and she is the best! She’s thoroughly trained and works beyond just inserting the needles. She’ll tell you why you’re having the problems you’re having and tie them into other parts of your body that may also be the CAUSE of your problems. And she’ll tell you what else you can do to heal from your problems. Her healing center is very calming and relaxing. She’s a wonderful person, too! Give her a try and you’ll never go anywhere else for acupuncture and healing. Misty 1/17/2017 I found incredible relief from her treatments. Acupuncture discovered me when I was living outside the US and it changed my life. I went from being nearly bedbound to being able to return to my passions of dance and cycling. When I returned to the states, I started searching for a practitioner that could do what my first one had done. I’ve been to several different acupuncturists seeking help for the same symptoms. My appointments were weekly or bi-weekly and I went to some for extended periods of time with little benefit until I found Leslie. Her treatments had a noticeable effect even though my time in Phoenix was short. My only regret is that I couldn’t stay longer to continue working with her for a few months. I’m thinking of returning to do so. No western medicine (even the Mayo Clinic) has given me a fraction of the results I’ve found in acupuncture with the right practitioner combined with herbs/vitamins/proper diet. Leslie is also very knowledgeable in Chinese Herbs which compliment the treatments for the noticeable added benefit. I still use the herbs she lined out for me. Good luck in your healing journey. Lisa Lee 1/17/17 My first experience with acupuncture was at The Acupuncture Healing Center with Leslie Gray this past weekend. I thoroughly enjoyed my experience and would recommend it to my friends. Incredible an knowledgeable. I used acupuncture for the first time and what an amazing difference it made. This place made a huge difference in my life. Customer for life! Bob Stahl reviewed The Acupuncture Healing Center — 5 star February 5, 2016 Before working with Leslie, I was distracted and jittery. Within 30 minutes, I felt much more calm and productive. Since working with Leslie, I sleep better and have much more useful energy. I plan to keep coming back every week to stay on track. Leslie’s skills are outstanding. Her knowledge of her craft is beyond compare. Her demeanor is one of peace and education. I highly recommend her to everyone. You will not be disappointed. She treated me for a variety of things for several weeks. She was always willing to meet me where I was and for that I am grateful. Leslie is simply amazing!! When I was in my third trimester of pregnancy I got Bells Palsy and I found Leslie. By the time I gave birth 4 weeks later you’d never have known that I had Bells Palsy. The doctors were amazed at my recovery – they kept checking their charts because they’d never seen anyone recover so fast. Leslie took the best care of me during this time and I can never thank her enough!! Anyone who has the chance to be healed by Leslie is very lucky!!! Leslie is phenomenal with her knowledge of acupuncture but also , total body healing! I met Leslie when she had her Acupuncture Center in Plymouth , Ma. Leslie was amazing by helping me by Acupuncture and helping me change my eating habits and educating me how toxins can build in your body by eating the wrong foods! I left her Center, not only feeling educated but empowered! I have been on the path to healing my body with her knowledge ever since! I still seek her knowledge and friendship! Lovely person inside and out! Paul Z. on December 1, 2015 The Acupuncturist knows what she’s doing. She explained the procedure to me and what was going to happen and why. Very knowledgeable, very professional. A complete expert. The best! Misty Dawn: Leslie treated me for severe fatigue and pain related to fibromyalgia when I was in the Phoenix area for a few weeks. I found a lot of relief with her treatments. Acupuncture discovered me when I was living outside the US, and it changed my life. I went from being nearly bed bound to being able to return to my passions of dance and cycling. When I returned to the states, I started searching for a practitioner that could do what my first one had done. I’ve been to several different acupuncturists seeking help for the same symptoms. My appointments were weekly or bi-weekly, and I went to some for extended periods of time with little benefit until I found Leslie. Her treatments had a noticeable effect even though my time in Phoenix was short. My only regret is that I couldn’t stay longer to continue working with her for a few months. I’m thinking of returning to do so. No western medicine (even the Mayo Clinic) has given me a fraction of the relief I’ve found in acupuncture with the right practitioner combined with herbs/vitamins/proper diet. Good luck in your healing journey. Questions are welcome if there is anything you would like to ask me about my experience. 10/20/2010 5 star Overall 1st to review on YP Carole DiMaggio My secretary and I experienced the acupuncture happy hour. We were happy to see that the pins did not hurt and the whole experience was relaxing and enjoyable. Leslie has a lovely healing center. Acaswell 10/21/2010 5 star Overall Absolutely amazing!!! 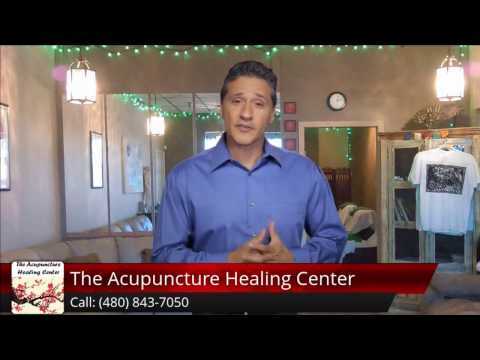 I have had the privilege of going to the acupuncture healing center number of times. Leslie’s treatments have been wonderous and healing. She is a wonderful knowledgable doctor with many years of experience. Each visit provided relief from pain and allowed the healing process to begin. I highly recommend The Acupuncture Healing Center to all who really wish to be helped and healed. 10/20/2010 Martin420 5 Star Overall I recently had a kidney stone. Leslie gave me some powders to mix with water. They helped dissolve the stone, so it passed without giving me any pain. My highest recommendation goes out to The Acupuncture Healing Center. Thank you again, Leslie. Joshnaz 10/19/2010 5 star Overall Excellent and knowledgeable. I had acupuncture here for the first time. I found the process to be very relaxing and pleasant. I also sent my wife here for her carpel tunnel syndrome and she said it relieved the pain and stiffness. It was definitely worth the trip, and I would recommend it to others to try for themselves. Reese, I first saw Leslie 11/03/2005 I had been diagnosed with two herniated disc in my neck which was causing pain in my left shoulder radiating down my left arm and also causing numbness in my hands. The Doctor who diagnosed my condition stated that the herniated disc were putting pressure on my spine and recommended immediate surgery to correct the problem. I had taken glucosamine tablets every day for more than two years, with little relief. I had one session with Leslie and to this day March 20th, 2009 have not had any pain or numbness. The reviews can be found in different online forums from when I began here in AZ in 2005 to the East Coast in 2008 and most recently back in Arizona 2015. These were copied and pasted from online reviews, and from hand written letters of recommendation from prior clients.